It is clear to see that the food industry and health now come together via new applications, which go beyond the limits of organic products. SIAL is unveiling 5 new apps with different functions but a shared goal: helping consumers do themselves good. Kwalito is the perfect anti-marketing weapon. The idea behind it? 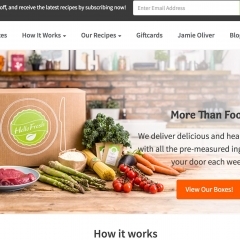 It decodes the labels of 45,000 food products. The days of incomprehensible explanations are over! Kwalito decodes what is in a product by scanning its barcode. Since September 2015, the application has seen a 40% increase in active users each month. Among those users are people with food allergies and responsible consumers careful about what is on their plate alike. 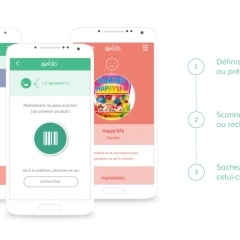 The app even goes further, allowing the service to be personalized: with the data saved, Kwalito recognizes products appropriate for the dietary restrictions of each individual. Consuming responsibly means purchasing healthy products that come from a responsible production chain. And a responsible production chain means a local producer. But how can you find the right farmers near where you live? 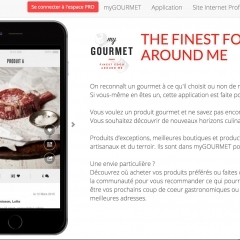 That is where myGOURMET comes in. This application helps you geolocate the best producers and distributors near your home. The scope of the app is currently limited to Paris but is expected to expand soon. The benefit? You get local products and information about the producers’ farms. This app is guaranteed to return you to your roots. This app was designed by Bayer HealthCare Diabetes Care division, which has been working for 40 years on numerous projects to help people with diabetes live independently from their illness. Diabetes, a fast-growing chronic disease, requires people to diligently monitor their eating. 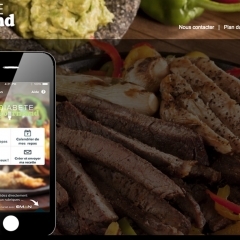 The app takes self-monitoring of blood glucose levels further, offering users a way to calculate carbohydrate intake at each meal, with its index of over 900 foods. yourself. The ingredients are packaged, and the plans adapted to all kinds of situations. You can cook alone, with your partner, or with your whole family! Most of the products are organic, and portions are calibrated to avoid food waste. An extra advantage? The app has a vegetarian version. It will fulfill the expectations of any beginning cook. 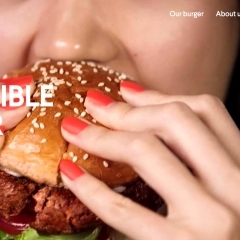 Impossible Food set itself a daunting challenge: transforming the world food system by inventing a new way of eating meat and cheese...without relying on animals. What is the mission of this innovative business? It aims to recreate the unique experiences of eating dairy products and meat by exploring the plant world. Protein and nutrients are on the menu when you eat this 100% vegetarian food.